In its latest crackdown on third-party data harvesting applications, Facebook has permanently banned ‘myPersonality’, an app created in 2007 by Dr David Stillwell and Dr Michal Kosinski, who later became researchers at the University of Cambridge’s Psychometrics Centre based at the Judge Business School. ‘MyPersonality’, which was last active in 2012, provided app users with instant results from psychometric tests – it compiled personal data from both the tests, and from Facebook profiles of respondents who had opted-in to their profile data being collected. Facebook said yesterday that their decision to ban ‘myPersonality’ was because “it’s clear that they shared information with researchers as well as companies with only limited protections in place”, an argument which Stillwell has disputed. The ‘myPersonality’ app is only the second app to be fully banned by Facebook – ‘thisisyourdigitallife’, the app created by Dr Alexandr Kogan which passed data on to Cambridge Analytica, was deleted from the social media platform in March following revelations in The Observer and The New York Times. Seen something you think Varsity should be talking about? Contact our News team at news@varsity.co.uk. Unlike Cambridge Analytica, which had no affiliations with the University, the ‘myPersonality’ dataset was used for the academic studies at the University of Cambridge’s Psychometrics Centre, and was also made available to other researchers, both at academic and commercial institutions. Around 40% of respondents, approximately 2.4 million users, agreed to their data being collected from their profiles at the time, resulting in what the Psychometrics Centre estimated to be “one of the largest social science research databases in history”. The social media platform had previously suspended the app in April. Explained How did the ‘myPersonality’ app expose users’ personal data? A New Scientist investigation in May found that the website through which the myPersonality project distributed its harvested data to outside researchers had "insufficient security provisions, which led to it being left vulnerable to access for four years". An estimated 280 people at nearly 150 research institutions registered as 'collaborators' on the project, to receive access to the app's complete database. The code-sharing website GitHub provided a simple work-around to non-academics wishing to access the data, as a publicly-available username and password was accessible on the website's code archive. Furthermore, Pam Dixon, an executive director of the World Privacy Forum, told New Scientist that the app's process for anonymising respondents' data was easily reversible. Each user was assigned a unique ID which linked their data obtained from psychometric tests, and, for certain users, from their Facebook profiles. However, the detailed nature of individuals' information collected – including their age, gender, location, and Facebook status updates – meant that millions of users could have potentially been re-identified through an automated process. Dr Stillwell disputes the claim that the app misused personal data. He told Varsity that "all necessary consents were explicitly and repeatedly provided by all Facebook users when using the myPersonality app"
Stillwell further criticised the ban as appearing to be “purely cosmetic”, and added that Facebook has “long been aware of the app’s use of data for research”. In a testimony to the U.S. Congress earlier this year, Facebook CEO Mark Zuckerberg said that the company was “looking into” the possibility of legal action against the University of Cambridge, saying that Facebook had “found now” the “whole programme” of Cambridge researchers using data from social media platforms for psychological research. According to his biography on the Cambridge Psychometrics Centre’s website, Dr Stillwell – who is now deputy director of the Centre – started the app in June 2007 as a “personal side project”. The biography described the ‘myPersonality’ project’s database as a “priceless academic resource”, and said of Stillwell: “we perceive him rather as a Mark Zuckerberg of Psychometrics”. 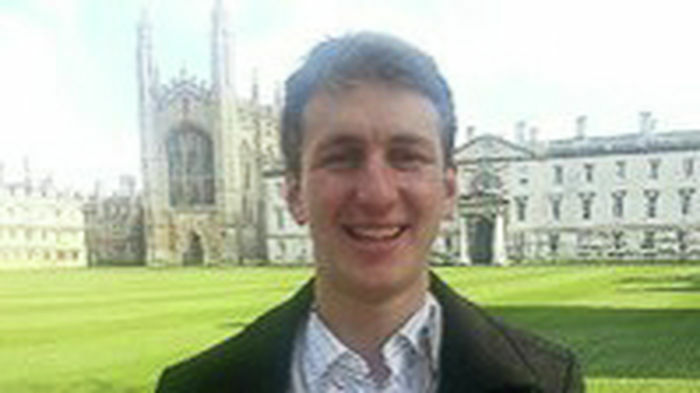 Dr Kosinski, another developer of the app, received an MPhil in Psychometrics from the University of Cambridge in 2009, and served as deputy director of the Centre from 2010 to 2014. He is currently an assistant professor at Stanford University’s Graduate School of Business. Facebook estimated that approximately 4 million people shared their information with ‘myPersonality’, and has said that those affected will now be notified that their data was possibly misused. The psychometric tests on the ‘myPersonality’ app included several questions similar to the ‘Big Five’ personality questionnaire, which defines five core personality factors – openness to experience, neuroticism, conscientiousness, extraversion, and agreeableness. The description of ‘myPersonality’ by the Psychometrics Centre said that the app collected data from over 6 million volunteers, and that samples were anonymised and “shared with registered academics collaborators around the world”, thereby “resulting in over 45 scientific publications in peer-reviewed journals”. In 2014, Dr Alexandr Kogan, the researcher at the heart of the Cambridge Analytica scandal, expressed an interest in accessing information from the ‘myPersonality’ project and approached Dr Kosinski. Stillwell told the New Scientist however, that the ‘myPersonality’ app team refused Kogan’s request at the time due to his political motivations. Varsity revealed in April that ‘thisisyourdigitallife’ had access to both data from users’ profiles and some “very sensitive, private” Facebook messages, but Kogan said that the latter was not shared with Cambridge Analytica.